Health Insurance: What’s an Iowa Farmer (or Sole Proprietor) to Do? Many farmers and other self-employed Iowans not eligible for Medicare or Medicaid have few choices when it comes to 2018 health insurance. Last week, due to a lack of federal response, Iowa officials withdrew their proposed Stopgap proposal. They submitted the waiver application in an attempt to prop up Iowa’s individual insurance market in the face of skyrocketing premiums. It was hoped that the measure would stabilize the individual market through "innovative solutions." With that proposal off the table, these facts remain. Medica is the only insurer writing policies in the Iowa ACA-compliant individual market for 2018. Medica filed a rate request seeking a 56.7% premium increase for its 2018 Iowa plans in August. Proposed plans become final November 1, but potential subscribers can preview sample Medica rates for different Iowa regions here. In the past several weeks, thousands of Iowans currently insured on the individual market, including many farmers, received notification that their policies would not be renewed for 2018. The Healthcare Marketplace Exchange enrollment period for 2018 begins November 1, 2017, and will remain open for 45 days. Iowans with incomes at or below 400% of the Federal Poverty Level (FPL) will generally be eligible for premium tax credits to assist with the cost of high premiums. Iowans with incomes above 400% of the FPL will not be eligible for subsidies and will be responsible to pay the entire premium themselves. In 2017, 162,000 Iowans are insured in the individual market. Around 80,000 people in this segment are enrolled in plans that were purchased prior to the ACA. The balance purchased ACA-compliant policies. Approximately 50,000 of those were purchased on the Exchange. So what options do farmers and other small business owners have for health insurance in 2018? Some Iowans purchasing coverage on the individual market remain on non-ACA-compliant grandfathered or grandmothered plans. If they have not received a termination notice, their plans are continuing for 2018. Grandfathered plans were purchased on the individual healthcare market before 2010. The ACA allows these plans to continue only as long as the insurer does not change the plan and as long as the insured pays the premium. If the insured leaves such a plan, he or she can only purchase an ACA-compliant plan. No new insureds can join these pools. Wellmark Blue Cross and Blue Shield has continued and will continue to offer the majority of grandfathered plans in 2018. The other non-ACA-compliant transitional plans are called grandmothered plans. These were issued from 2010 through 2013. The future of grandmothered plans is more tenuous. They have been extended by federal regulatory declaration, subject to acceptance by State Insurance Divisions. Most persons ages 65 and older may seek a Medicare policy, as may some younger than 65 who are disabled or suffer from kidney failure or ALS. Most adults between the ages of 19 and 64 whose income is at or below 133 percent of the FPL will qualify for Medicaid in Iowa. These individuals are not eligible for premium tax credits and must enroll in a Medicaid policy if they wish to acquire health insurance through the Marketplace. Hawk-i provides cost-free or low cost government subsidized health care plans to many Iowa children under 19 years of age whose families do not otherwise qualify for Medicaid. Eligibility for Hawk-i plans is discussed here. In 2018, the only option for Iowans wishing to purchase an individual healthcare plan is to purchase a plan from Medica through www.healthcare.gov. As noted above, premiums for these plans will be depend upon age, household income, family size, smoking status, and region. Plans for 2018 must be purchased between November 1 and December 15, 2017. For those with incomes at or below 400% of the FPL, the price of these policies will likely be offset by premium tax credits. These credits can be paid directly to the insurer in advance (APTC). For those with incomes above 400%, premiums will likely be dramatically higher in 2018. This 2017 chart provides income limits for various FPL percentages. Final 2018 limits are not released until January. Using numbers provided by the Iowa Insurance Division, it is likely that a farm couple, aged 55, earning $67,000 a year could face insurance premiums of $32,700 in 2018. A 63-year-old couple earning $67,000 per year, could face premiums of $39,000 per year. A 28-year-old couple with four-year-old twins earning $101,000 per year could see premiums of $27,000 in 2018. And income makes all the difference. If household income is at or below 400% FPL, most insureds are eligible for an APTC subsidy. The ACA places a cap on the amount these insureds must pay to keep insurance affordable. When insureds’ income rises above 400% FPL, however, they are not eligible for any subsidy and the difference can be dramatic. For example, if the 28-year-old couple earned just $98,000 per year instead of $101,000 per year, they would be eligible for the subsidy and would likely pay just $9,511 per year for the coverage that otherwise will cost them $27,000. The federal subsidy pays the difference. And these are just premium costs. The estimates do not take into account the cost of copays and deductibles. Practice Pointer: Tax professionals can assist clients in determining projected income for 2018. Qualifying for an advanced premium tax credit may mean the difference between affording insurance or not. But beware, if actual income in 2018 exceeds projected income and places the taxpayers above the 400% FPL, they will be required to repay the advanced premium tax credits paid on their behalf. Also note that, with few exceptions, married taxpayers must file joint returns to be eligible for premium tax credits. Once APTCs have been acquired, income monitoring and planning is essential for those taxpayers close to the 400% FPL. Those purchasing an individual plan on the Exchange should investigate the plan thoroughly before purchasing it. The networks and doctors available on the 2018 Medica plan may be much different from those available under a 2017 plan. These restrictions may cause difficulty if current doctors or facilities are not covered providers. Most Iowans (53%) are covered by employer-sponsored group health plans. Many farm families rely on an off-farm job to qualify the family for employer-sponsored coverage. But for many that option is either not affordable or not available. Some employer group policies, for example, offer “self-only” coverage to employees at a low cost, but the “family coverage” premium is much more expensive. Note: IRS’ affordability test for family coverage is based only upon the cost of the self-only coverage offered to the employee. If that cost is less than 9.56% of the family’s household income (in 2018), the coverage is deemed affordable. This means that the family won’t be eligible for a premium tax credit on the Marketplace. It does not matter that the cost of the family coverage is much higher than that. 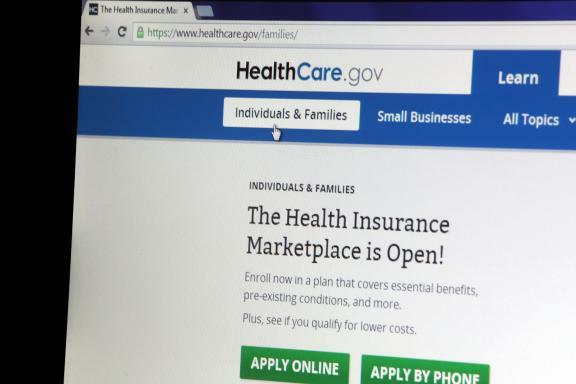 Sometimes called the “family glitch,” this issue has reportedly caused more than 4 million Americans who cannot otherwise afford family coverage to be shut out of health insurance options. Some farmers or small businesses without an outside employer option have in the past employed a spouse to qualify to purchase a group health plan. A group health plan may offer a more affordable rate to some families with incomes above 400% of the FPL. Such a policy may also allow more choices with respect to healthcare providers. Qualifying for such a group health plan, however, is not easy. State and federal requirements, as well as requirements established by individual insurance carriers, must be met. And the rules are not always clear. For 2018, it appears that group health insurance may be purchased by small employers in Iowa if an employer has at least one non-spouse employee who enrolls in the plan. If the non-spouse employee enrolls, the owners and their family can also participate. This employee must qualify as a common law employee, meaning that he or she is not an independent contractor. The employee must receive a W-2, and the employer must comply with Iowa Centralized Employee Registry Reporting and other employer requirements. Where the employer is a sole proprietor and the only employee is a spouse, group plan eligibility is much less clear. In many states, no group health plan option is available to such businesses. In Iowa, it appears some insurers may allow such employers to purchase group health plans for 2018 if the business is incorporated, meaning established as an S corporation or a C corporation. An LLC taxed as an S corporation or a C corporation would also seem to qualify under such eligibility requirements. An LLC taxed as a disregarded entity (meaning taxed like a sole proprietor or a partnership) would not qualify. Consequently, a sole proprietor does not appear to be eligible for a group health plan if he or she merely forms an LLC and issues a W-2 to a spouse. Taking the extra step to elect to be treated as a corporation for tax purposes would seem to create eligibility given current standards. However, it is not advisable to form such an entity solely to acquire group health coverage. Creating a corporate entity can be very costly. It also creates a whole new set of present and future tax consequences the business owner must understand. Likewise, becoming an “employer” is not without significant impact. Insurers require actual employment, not a sham arrangement created merely to qualify for a group plan. Thus, all employer obligations must be met or coverage will be jeopardized. It is also possible that eligibility requirements could change. Some Iowans may turn to health care sharing ministries, which are allowed under Treas. Reg. § 1.5000A-3(b). These groups do not provide health insurance, but share medical expenses among members with shared beliefs. Members are treated as self-pay patients, but they are exempt from the individual shared responsibility payment. It should also be noted that these plans are not considered insurance and are not regulated by the State Insurance Division as other insurance would be. For more information about some of these groups, click here. Some Iowans may simply be priced out of the 2018 health insurance market. They face great financial risk in the event they encounter a health catastrophe. Those with assets should do everything possible to acquire health insurance so as to protect those assets from the risk of such a contingency. A number of Iowans have fallen through the cracks. There simply are no good options for them when shopping for 2018 health insurance coverage. We will keep you posted as the situation evolves. Individuals with questions should contact a trusted advisor.